Create a fun backyard with vinyl fencing by Illusions fence. Why pack up the car with the kids, the toys, the food, and the dog just to trek on down to a park, when they can have their own park-like setting right outside their backdoor? 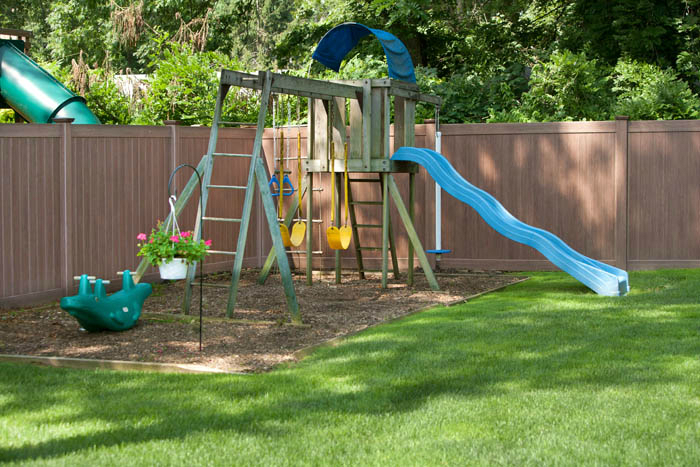 Get started creating your fun backyard with vinyl fencing. Take a look at the above install. The homeowner took their backyard and using the Grand Illusions Vinyl WoodBond Walnut V300-6 (W103) as a backdrop, turned it into a wonderful work of art! What a great backyard idea. This is the kind of scene that just makes you want to step back, take it in and smile. Another Great Way To Spruce Up Your Illusions Vinyl Fence. Consider the Grand Illusions looks like real wood with the maintenance of vinyl. 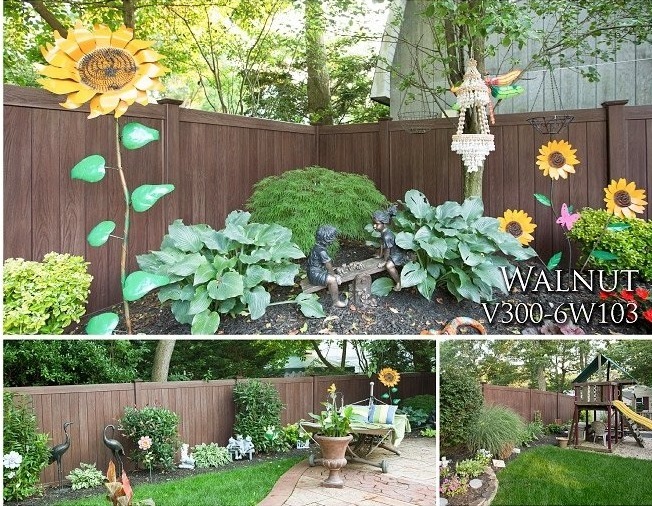 The PVC Walnut color is a perfect all year round blending fence. The panels look great winter, spring, summer, and fall. Merging perfectly with the foliage of all of those seasons. Grand Illusions Vinyl WoodBond is the next generation of fence products. It is the perfect merge of what people are looking for in their fence products. It looks like stained wood fence, but it doesn’t lose its color and doesn’t turn gray. The Grand Illusions Color Spectrum is a matte finish color vinyl PVC product that looks like painted wood, but with the low maintenance of vinyl products. It’s a win/win! Have the look of a beautiful painted or stained wood fence without the maintenance. The best ideas come from the heart. So why not put a smile on your face and check out the countless possibilities that the Grand Illusions line can offer. Looking for the best vinyl fence? With Illusions Vinyl Fence, you found it. The only limit is your own imagination. Want good old fashioned real wood fence instead? 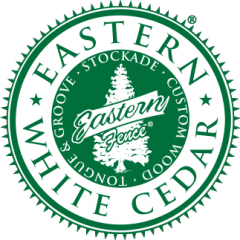 Check out Eastern Wood Fence.